Police - New fleet of police cars to go in service. 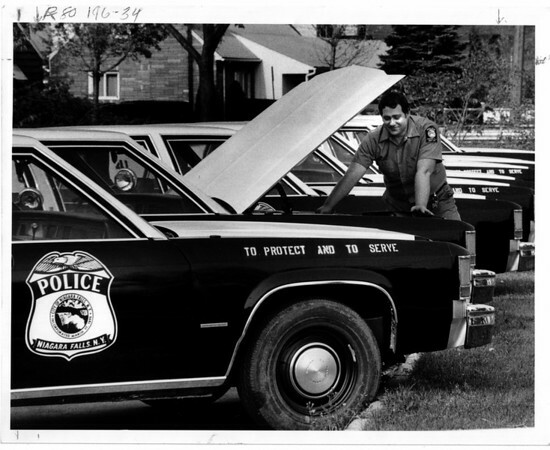 Bob monroe, Communications Technician looks over the new cars he will equip with roof lights, police radios, and other electrical equipment. Photo - By Ron Schifferle 11/1/1983.